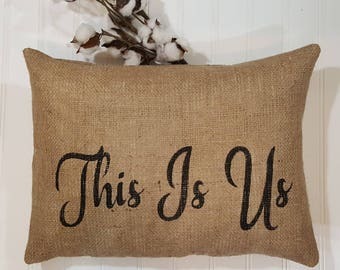 What Happens At Grandma's Stays At Grandma's Pillow Burlap Stuffed Pillow Rectangle 16" x 12" is made with a high quality burlap and lined with cotton muslin. I have lined this pillow so that no white fiberfill shows through your pillow, this gives your pillow a very sturdy feel. This throw pillow is so cute and funny it lets Grandma tell the grand kids they can get away with anything! They'll have a blast when they read it!! This handmade pillow also makes a great Birthday, Mother's Day or Christmas Gift for your kids to give to Grandma. 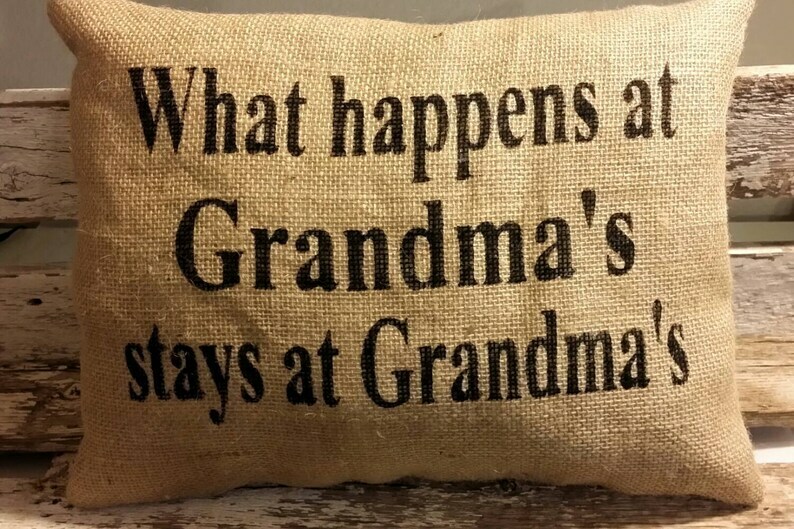 What Happens At Grandma's Stays At Grandma's letters are painted black on the front of the pillow with sayings.